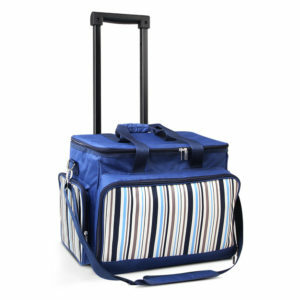 Often, coming up with a reason for a picnic can be the trickiest part when it comes to enjoying some fun in the sun. But it’s not all doom and gloom when picking an occasion for a get together around a rug and a basket – if there even needs to be one! 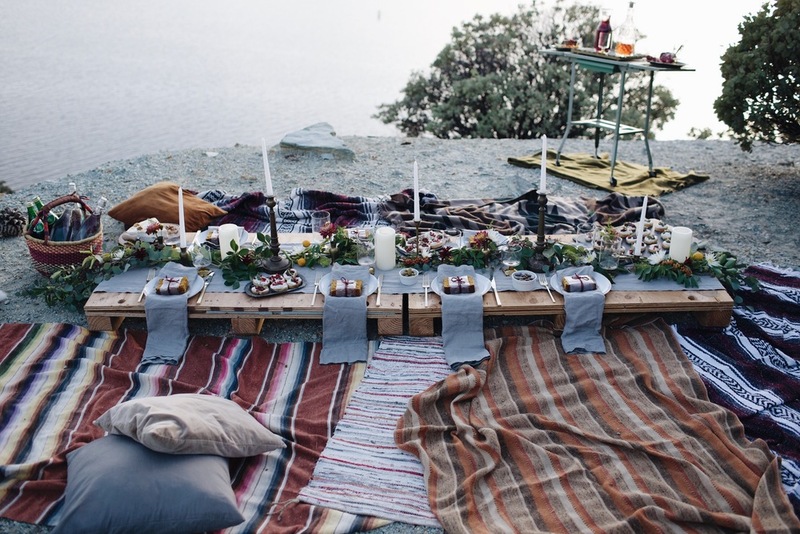 Whether you’re on the road, or just looking to spoil that special someone, here are some picnic set-up ideas that may light that spark inside you. There’s nothing quite like jumping in the car and hitting the bitumen for an old-fashioned road trip in your chariot of choice. And while the end destination is half the fun, the other half is the memories you make with the people you have the pleasure of spending many, many hours with on the road. So, be sure to make the most of the adventure, and stop off at some fantastic landmarks and picturesque spots along the way. 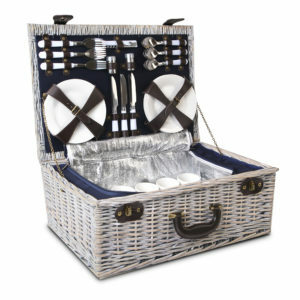 Better still, pack a picnic with our beautiful traditional white picnic basket and put the cherry on top of what is already a fantastic way to see the world! Nothing says ‘lazy summer afternoon’ more than a picnic by a lake on a warm evening. 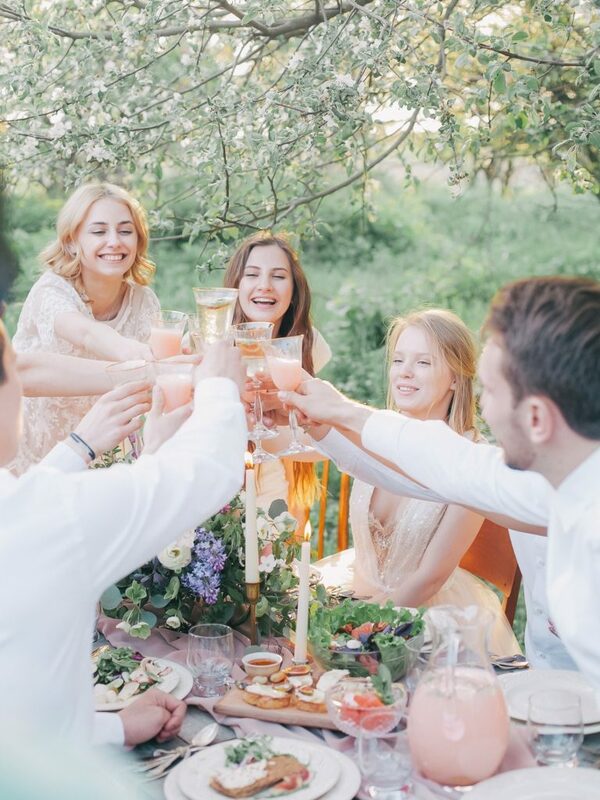 This is a great idea if you’re catching up with friends and want to make it really informal. It’s also a fantastic date idea and is sure to win you more than a few brownie points with your significant other. 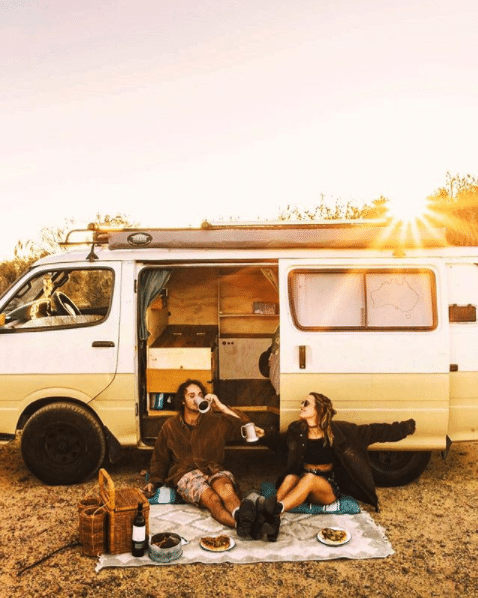 All you have to do is pack your wicker picnic basket full of yummy goodies, grab the rug and find yourself a special spot – maybe at the local park, or even on your own property if you’re lucky enough to own that much land! This set-up may be closer to a glamping picnic than your regular run-of-the-mill effort, but it’s certainly going to impress if you go that extra mile. Fill your luxury picnic basket with some high-end treats, and maybe even a bottle of sparkling, and set yourself up in the middle of a field – or somewhere else that is significant to you and your partner. This is a really simple idea that will mean the world to the person that means the world to you. If you’re keen to save a couple of pennies and entertain the entire family, then this picnic idea may just be the best of the lot. Granted, you will need a projector that can be moved into the backyard, but after that, it’s easy! Set a white sheet up on the clothesline, set out a big picnic rug and heaps of pillows, wait for the light to dip in the early evening and tuck into your perfectly packed picnic basket, full of movie goodies! 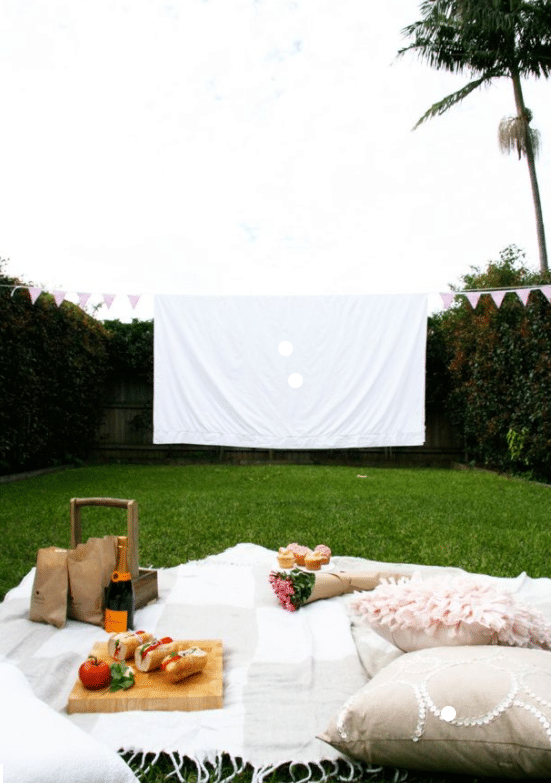 If you’re into the idea of keeping the picnic in your own backyard, but don’t like the idea of having to buy a projector for the movie, then just scrap that part altogether. Grab your cane picnic basket and clear out the cupboards, grab the blanket and set up on the grass just 10 steps from your kitchen. And the best thing about this idea is that if you forget something, you’re not too far from home. 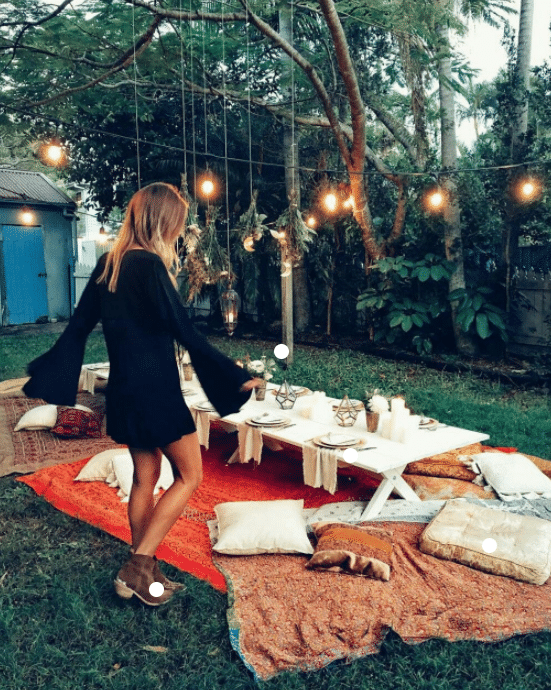 You can either keep it super simple or dress up your backyard a touch to make it a bit more special. Okay, so your set up definitely doesn’t need to be as extravagant as the picture below. 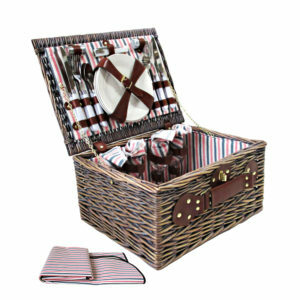 But everyone loves a day at the beach, so make it a bit special with a perfectly prepared picnic with your picnic basket and rug set from Picnic Basket Shop. Get down there late on a sunny summer afternoon, and you’ll catch the golden hour where nature’s most amazing colours and textures are on show. 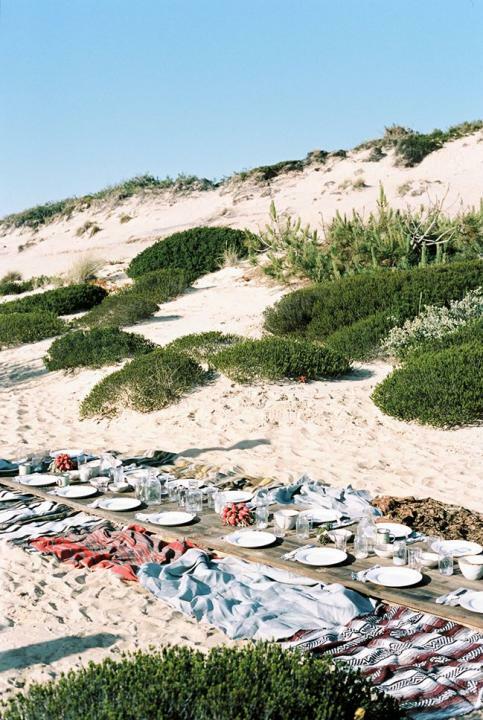 You’ll want to picnic at the beach over, and over, and over again. There has been plenty of romance in the above suggestions, but this one really takes the cake if you’re looking to impress that special someone. 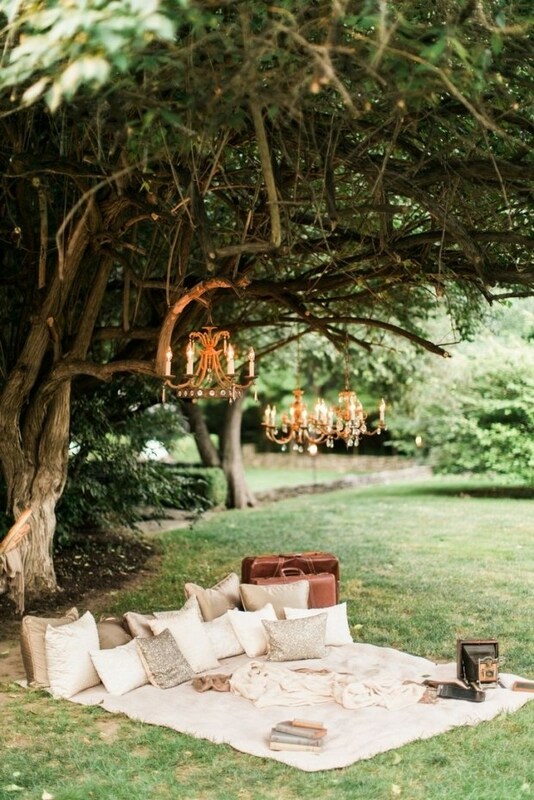 Yes, it’s going to take a bit more work than your standard picnic but, seriously, imagine the look on your significant other’s face when they see this set up under a tree in your favourite park. They’ll not only appreciate the effort you put in, but they’ll appreciate how special you are all the more! 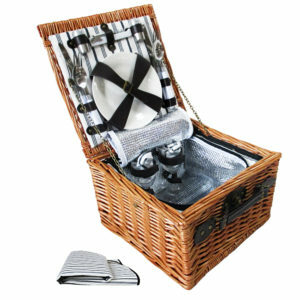 And don’t forget our luxury small picnic basket to complete the look! 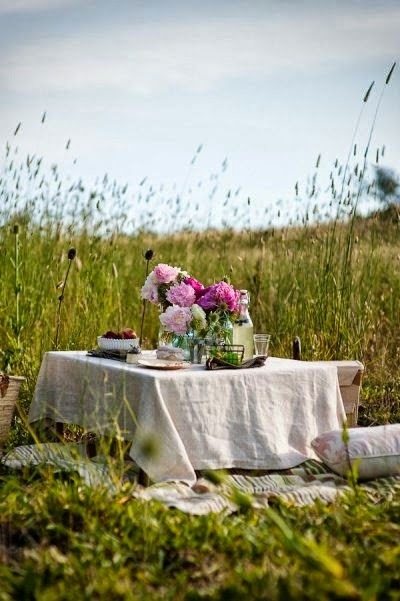 This entry was posted in Picnic Inspiration, Picnic Set-Up Ideas. Bookmark the permalink.